1998 – Unificaton – Longbox Cd. 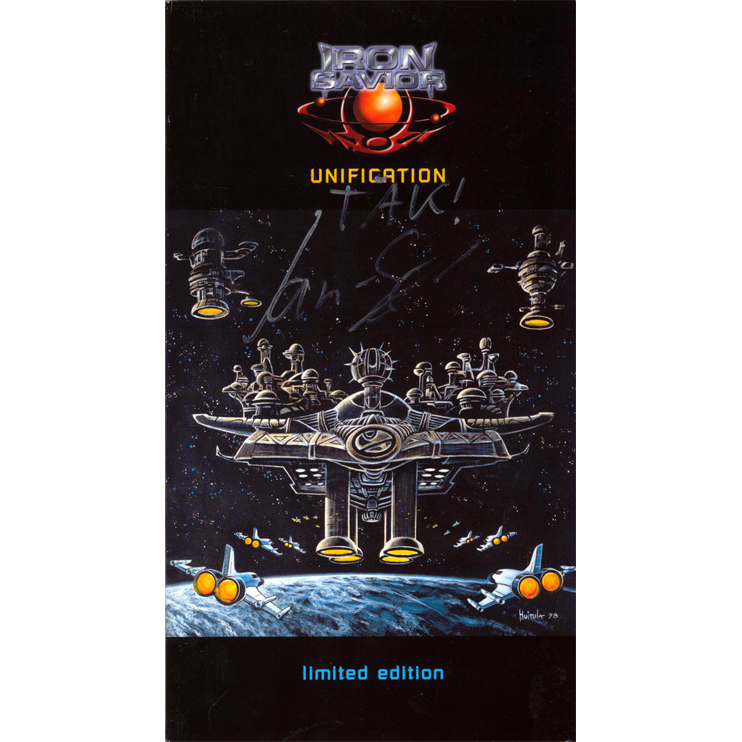 Strictly Limited To 5000 Copies Worldwide – signed by Jan-S. Eckert. Piet Sielck – Guitar, Lead & back Vocals. Kai Hansen – Guitar, Lead & back Vocals. Jan-S. Eckert – Bass, backing Vocals. Dan Zimmermann – Drums & Percussion. Andreas Kück – Keyboards & backing Vocals.